When it comes to traveling, a lot of people like to have adventures independently; they like to plan their own itinerary, avoid the typical tourist routes, and explore on their own without a guide. 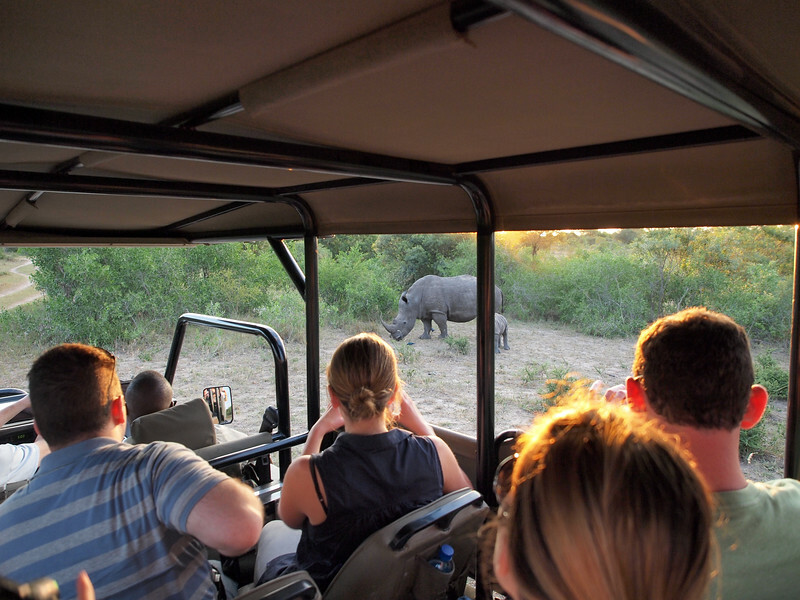 For example, there are some instances when having a knowledgable local guide can really enhance a travel experience – and I definitely think this is true when going on safari in South Africa. 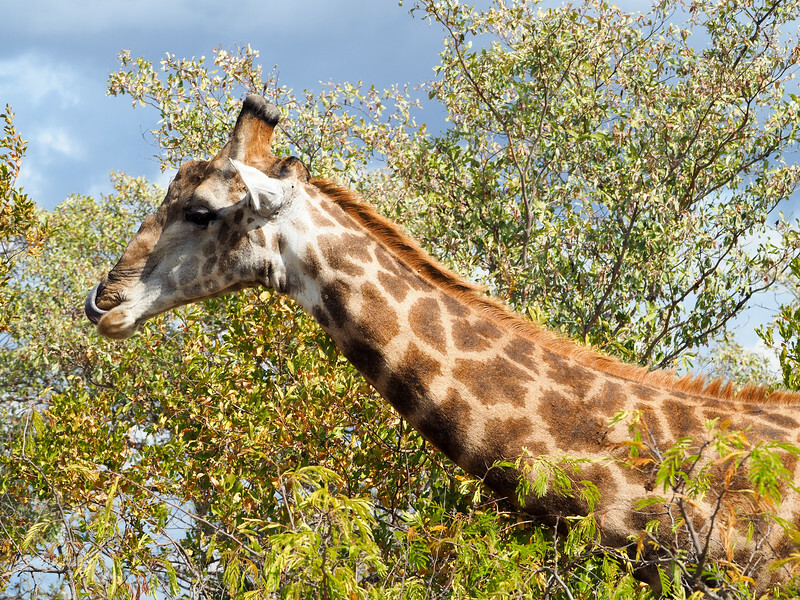 Kruger National Park in South Africa is one of the largest game reserves in all of Africa, covering more than 7500 square miles (nearly 20,000 square kilometers). 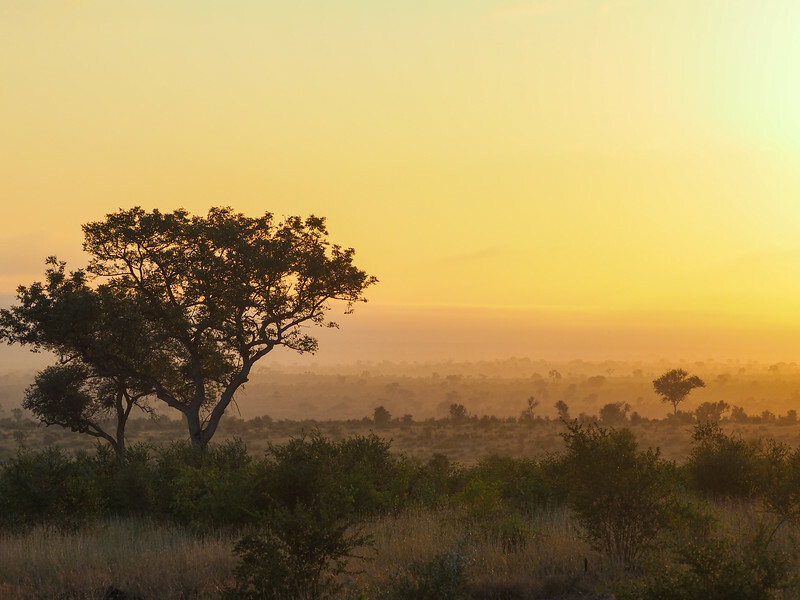 It's been a national park (South Africa's first, in fact) since 1926, and is one of the top destinations in Africa for a safari. 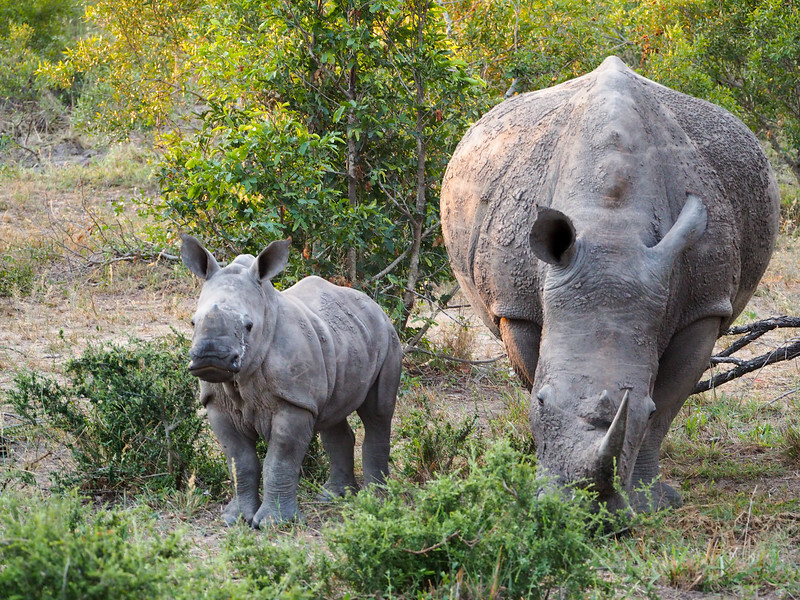 But when it comes to seeing the Big 5 in Kruger, there are two different options. 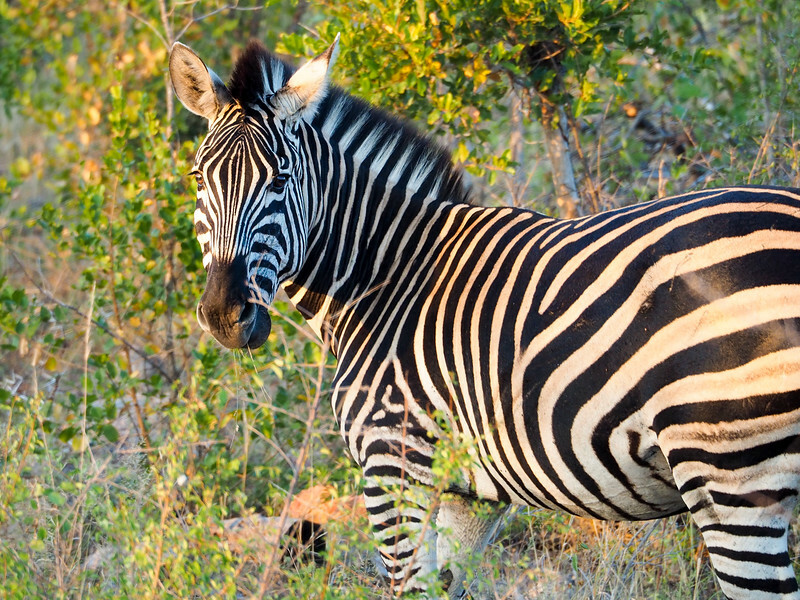 The first option is to self-drive, which is the most economical way to go on safari in Africa. This means you pay a park fee (about $28 per person per day for non-South African residents), drive your own vehicle on designated park roads, and most likely camp or stay in self-catering accommodation. The good news is that this makes for a pretty affordable safari. The bad news is that a self-drive safari has quite a few drawbacks. You have to stay on park roads, meaning you'll only see wildlife that is close to those roads. You'll be sharing those roads will all the other self-driving tourists in the park. You'll be viewing everything through a car window. You have to rely on your own untrained eyes to spot animals. 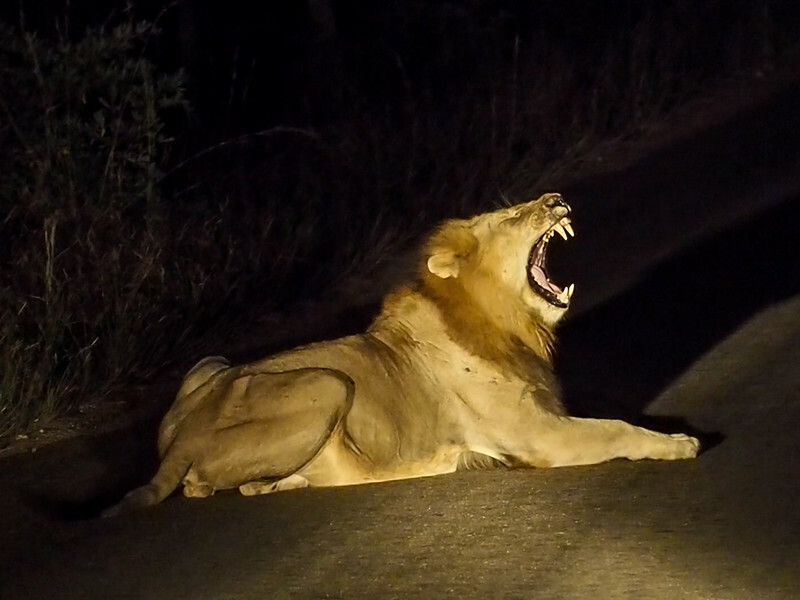 The park gates close after dark, so you can't do any nighttime game drives. When it comes to going on safari in Kruger, I really do think it's worth to spend the extra money to stay in a private game lodge. 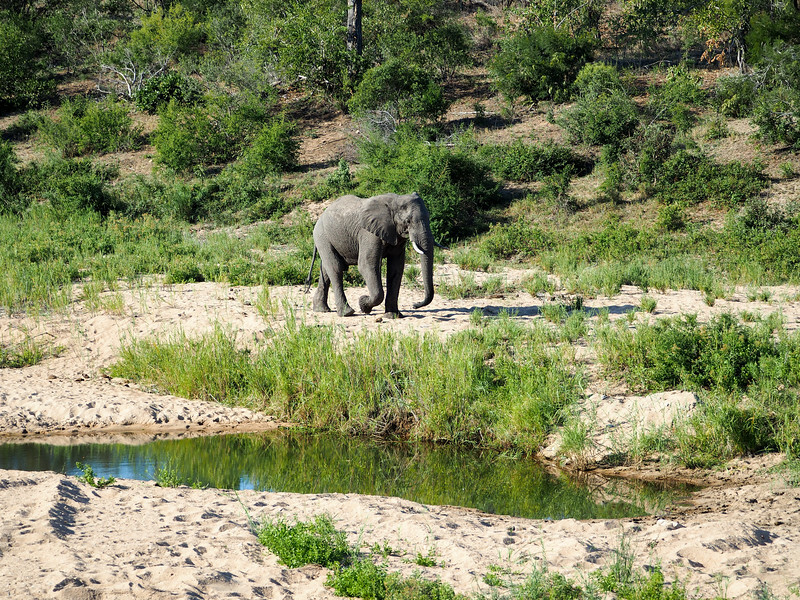 In and around Kruger National Park you'll find private game reserves and private concessions, both of which are similar. Private game reserves are located either adjacent to or just outside Kruger National Park, often sharing a fenceless border with the park. 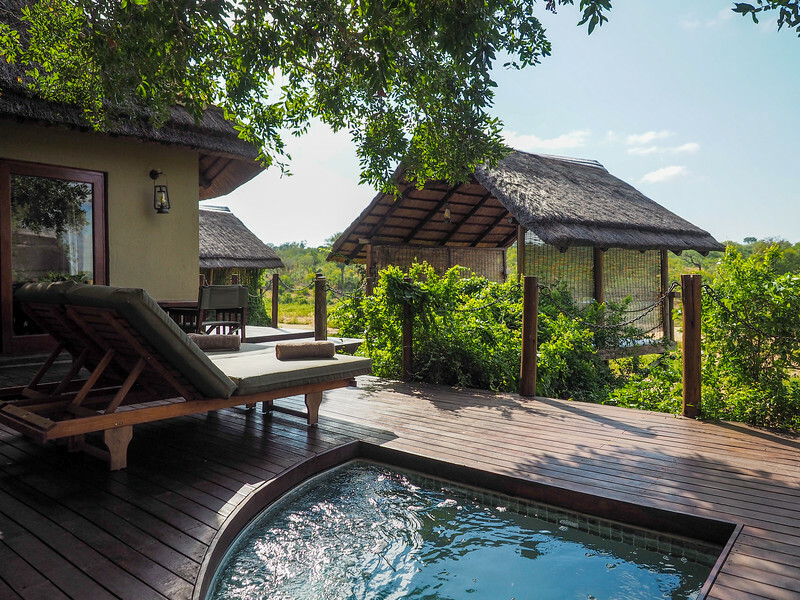 Private concessions are found within the park itself; these lodges/operators have special licenses to exist within the borders of Kruger. 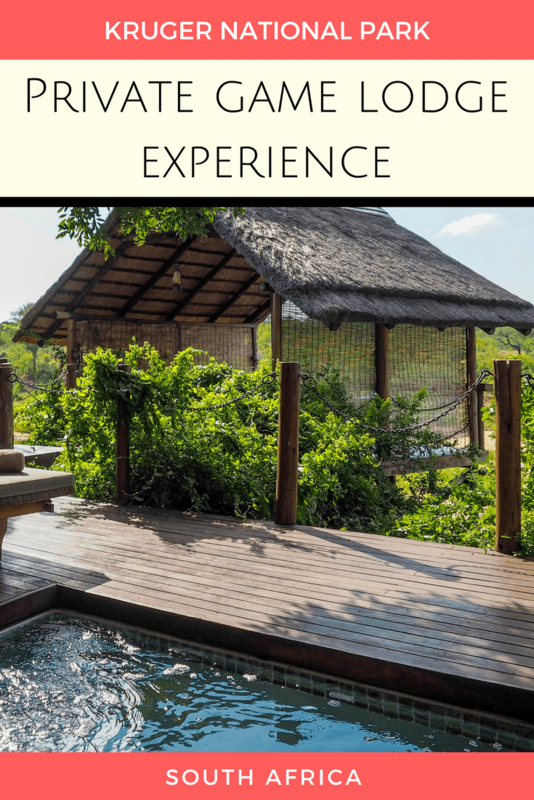 Why stay in a private game lodge? 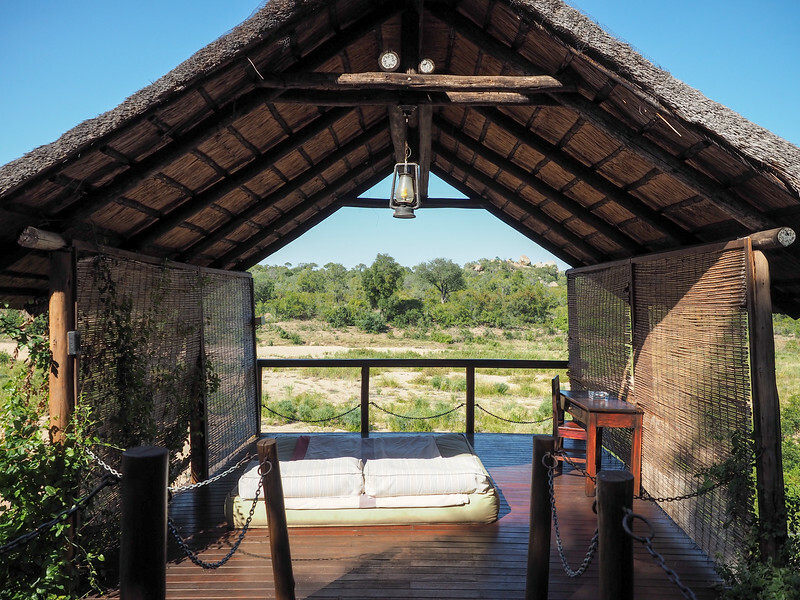 Privacy – Many of the lodges (and especially the private concessions within Kruger) are relatively small, meaning you get an intimate, private experience. All-inclusive – If you're the type of person who doesn't like to worry about the details, then a private game lodge in Kruger is perfect for you. They're almost all all-inclusive, which not only includes lodging and food, but also things like twice-daily game drives, walking safaris, airport transfers, and more. 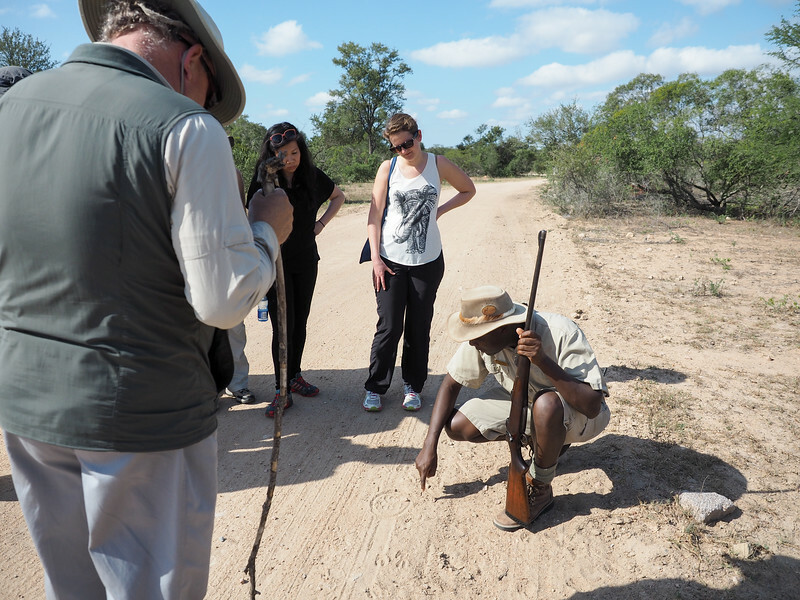 Looking at a leopard print on a walking safari in Kruger. Freedom – The private lodges in and around Kruger have a lot more freedom when it comes to providing a safari experience to their guests. 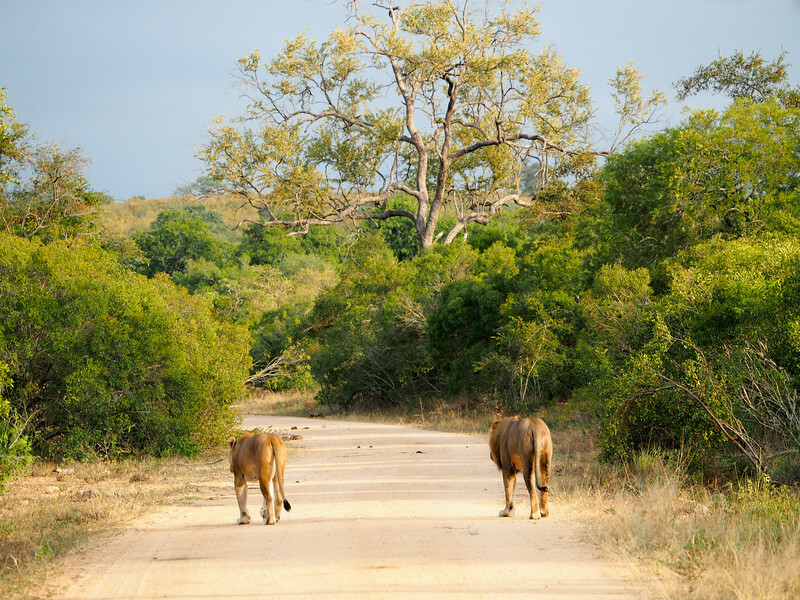 When you go on safari with a private company, they don't have to stick to just the main roads in Kruger National Park. They can go off-road on their own property, and sometimes off-road on property owned by neighboring reserves/concessions. This means you have a much better chance of seeing more wildlife. Night safaris – Because the rules are different for rangers employed by private game lodges, you can actually go on nighttime safaris. 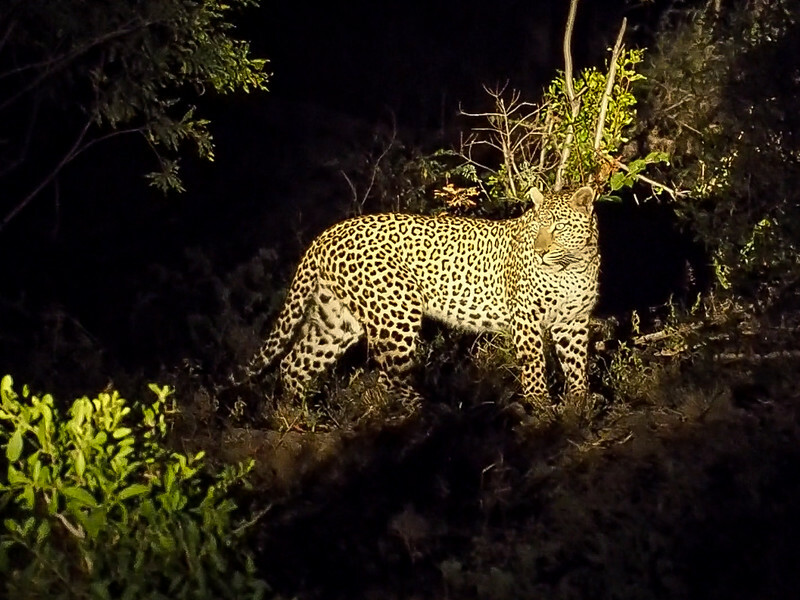 This is often the best time to spy some of Africa's large cats, which is a huge bonus. The best rangers – Speaking of those rangers, you'll find the best ones employed by Kruger's private lodges. These rangers REALLY know their stuff, and can help you find and spot animals you never would have noticed on your own. Rangers talk to each other while out on game drives, too, meaning they can be alerted if there's a really cool sighting opportunity going on somewhere else. 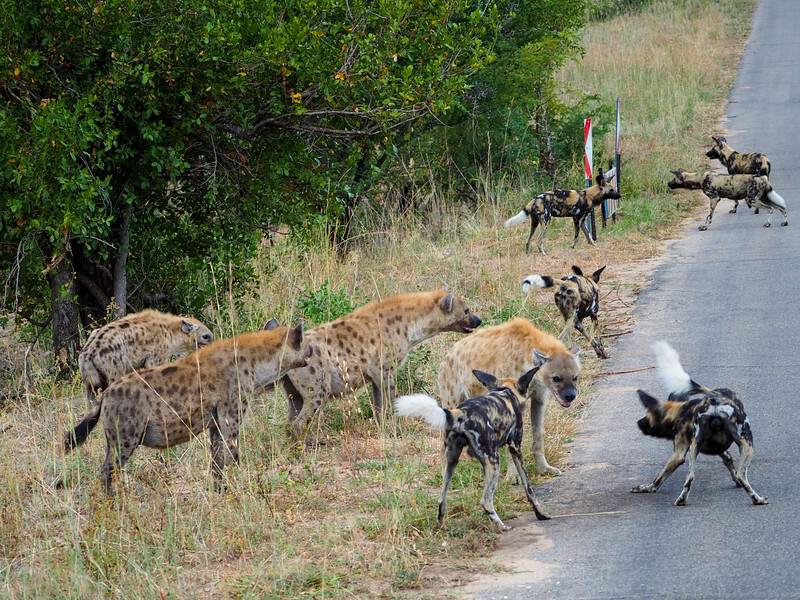 This helped me see mating lions and a showdown between hyenas and wild dogs on my own trip to Kruger. Better vehicles – Lastly, going on safari in an elevated, windowless vehicle driven by a trained ranger is just SO much better than driving around on your own in a regular car. You get a better vantage point and can usually get much closer to the action in these safari vehicles. SO much cooler than driving your own car on the road. 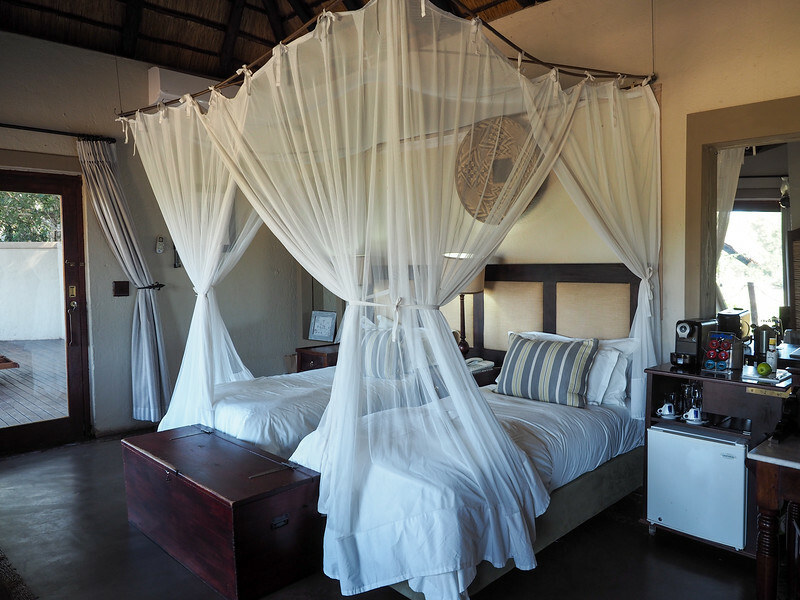 And of course there's the wide range of unique, historic lodges to choose from in and around Kruger National Park. Now, I've only been to South Africa once, so I can't compare different private game reserves and concessions. But I CAN tell you about my personal experience staying at a private concession within Kruger National Park. I stayed at the Jock Safari Lodge, which was the very first private lodge to be granted a concession within Kruger National Park. I love the history that oozes from this lodge – it's romantic and rustic at the same time. 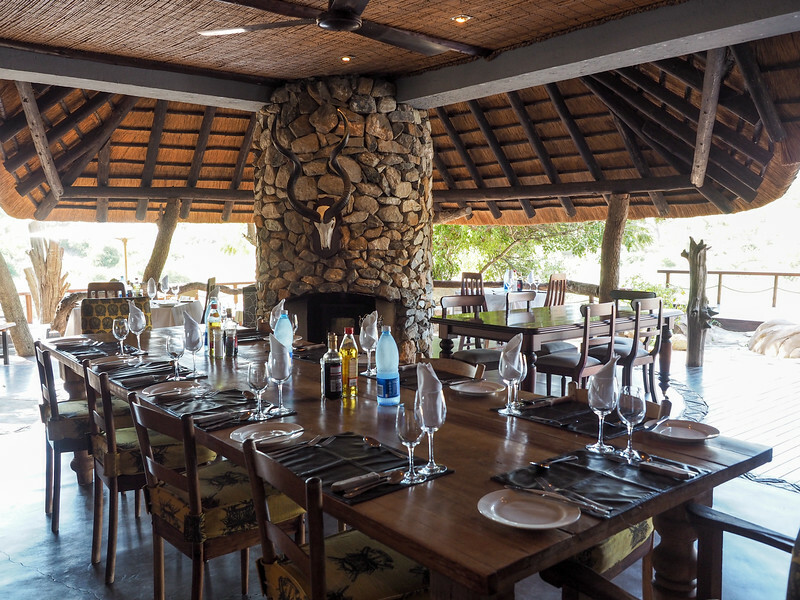 Dining area at Jock Safari Lodge – all their roofs are thatched! The Jock Safari Lodge gets its name from a true story called “Jock of the Bushveld,” with Jock being the canine companion of author/traveler Sir James Percy FitzPatrick. Each of the 12 villa suites at Jock is named after a place of interest in the story, and each suite has a copy of the book in case you want to spend the afternoon reading on your private sala. These private salas are everything! Jock Safari Lodge is located in the southern part Kruger National Park, where the Mitomeni and Biyamiti rivers meet – meaning there are excellent wildlife viewing opportunities right from your room. We saw elephants from our sala every afternoon. And the rooms? Beautiful and modern, but with an “old world” charm, too. My favorite parts were the private plunge pool, outdoor shower, and private sala, perfect for taking naps and watching for animals. Getting there: To get to the Jock Safari Lodge, you can fly into the tiny Skukuza Airport; daily flights are available to/from Johannesburg. Jock then offers transport from the airport to the lodge. 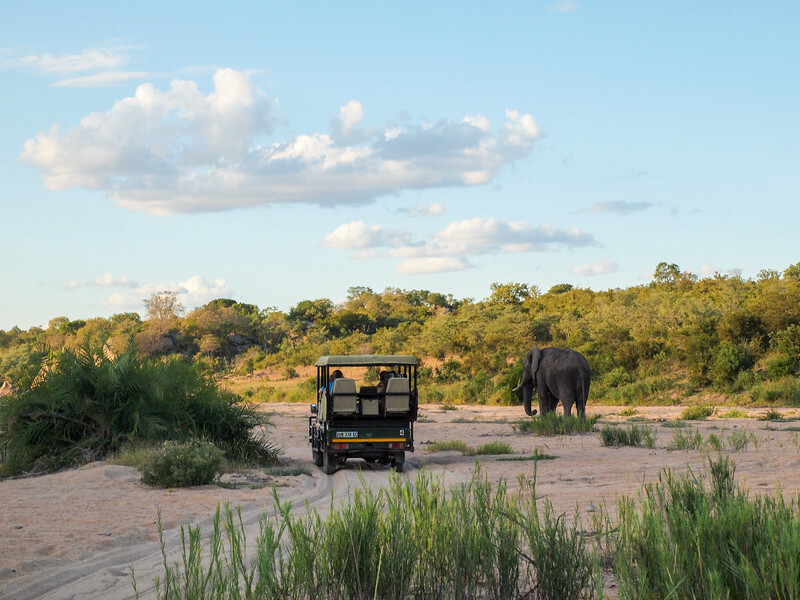 How much: Rates start at around $650 per person per night (based on two people sharing) – but remember that this price includes lodging, food, AND game drives. How many nights? We only stayed two nights. This still allowed for 4 game drives (an afternoon one on arrival day, two the next day, and a morning one before we left), plus time to enjoy the lodge. If you can afford 3 nights, I think that would be the perfect amount of time, though you can certainly see a ton with just two nights, too. Who is it for? Even though I think the Jock Safari Lodge would make an excellent honeymoon location, they don't cater to just one type of traveler. I stayed at the lodge with my dad. 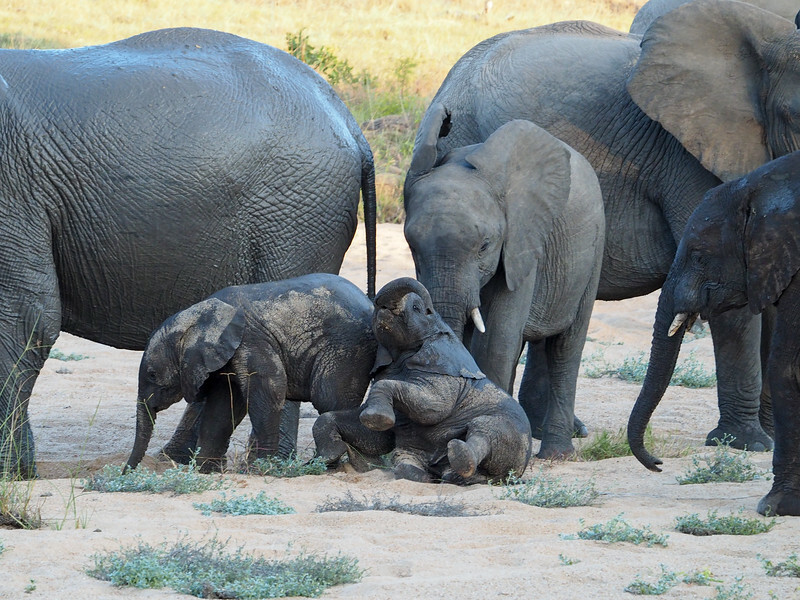 And they welcome children (though no kids under 6 are allowed on game drives). My experience at Jock Safari Lodge was even better than I could have imagined. The food was top-notch, the service is exactly what you'd expect from a luxury lodge, and we had plenty of downtime for relaxing (or napping). And of course the game drives!! We were paired up with Jock's head ranger for our stay, who was not only overflowing with knowledge, but also truly cared about making sure we had the best safari experience possible. Thanks to him, we got up close with a mama and baby rhino, had sundowner drinks surrounded by a pride of curious lions, and had a prime viewing spot for that showdown between the hyenas and wild dogs. He even piled us back into a vehicle after an evening game drive had ended when he heard that there were leopards nearby. Thanks to our ranger, we saw the Big 5 all on our first game drive! Staying at a private game lodge is about more than just sleeping and eating there. If you can afford the extra splurge, I really think this is the best way to experience Kruger National Park! Have you stayed at a private game lodge in South Africa? If not, is it something you'd like to do one day? So jealous of this trip every time you post something about it! This is most definitely on my (very long) wish list. Out of curiosity, given the cost per night (though I definitely understand, especially considering what you’re getting for it! ), how long a stay would you recommend in a place like this? And is it something you can do solo (and is there a solo supplement?). How long did you stay? I added Jock to my Goodreads TBR list. First Africa read on my list! I’m glad I read this post! Nice! My dad read I think about half of it while we were there and seemed to like it! Wow. What an experience. I can’t believe you can actually see wildlife right from your room. At first it seems expensive but when I considered what it includes and the incredible experience it provides I think it is worth it. Truly amazing photographs. I think it was worth it, too, and I wouldn’t hesitate to do it again! I can’t even tell you how magical it was to spot an elephant from our room for the first time – it was pretty much the coolest thing ever! I wasn’t a fan of self-driving during a safari. I felt like I passed by all the big animals without being able to spot them because my eyes had to be on the road the whole time looking for dung beetles 🙂 I would take a private lodge over self-driving any day of the week! I didn’t even consider that, but yes you’d miss so much if you were the one actually driving! I also just don’t think Kruger is the best park for self-driving since it’s got taller trees/plants and lots more tourists than some of the other parks in Africa. We couldn’t have asked for a better first safari experience! I’m definitely ready to do it again. That elephant photo gives me all the heart eyes! So cute. And I love that you did this trip with your dad. I did a similar one to Kruger with my mom in 2010 and am so happy we’ll always have those memories together. I saw everything but the rhino, and now I am so jealous of that baby!!!! The baby rhino was the cutest, OMG. A bird kept landing on his back and he kept freaking out. It was adorable. And yes, it was great to share this with my dad (even though sharing such a “romantic” room with a parent was a little weird! Haha). although i like the lodge, it’s too expensive for me 🙂 i do like the idea of night drives though. It’s certainly a bucket list-style trip; worth saving up for! Ah, I miss Africa and all its lovely creatures! Looks like you had a great time. I stayed in a few private lodges in Tanzania and loved them. Expensive, but nice to do if you have the budget. Will have to check this place out if we go to South African any time soon! Yes, if you can afford it, I definitely think this is the way to go! I love the nighttime cheetah shot! This is one of those once in a lifetime trips that I would love to experience one day. And I would definitely prefer to stay in a lodge similar to this one. If I were to go back to South Africa (which I certainly hope to! ), I would not hesitate to stay here again, which I think says a lot! Seeing those wild dogs was a really special experience! South Africa is at the top of my bucket list. You’ve inspired me to try and make it happen! I’ve been on safari in India and South Africa, but I’ve never done an overnight one. And the ones that I went on were very close up. Gulp! Kruger was amazing! I’ll definitely be back one day. Wow, Amanda! These are amazing photos! 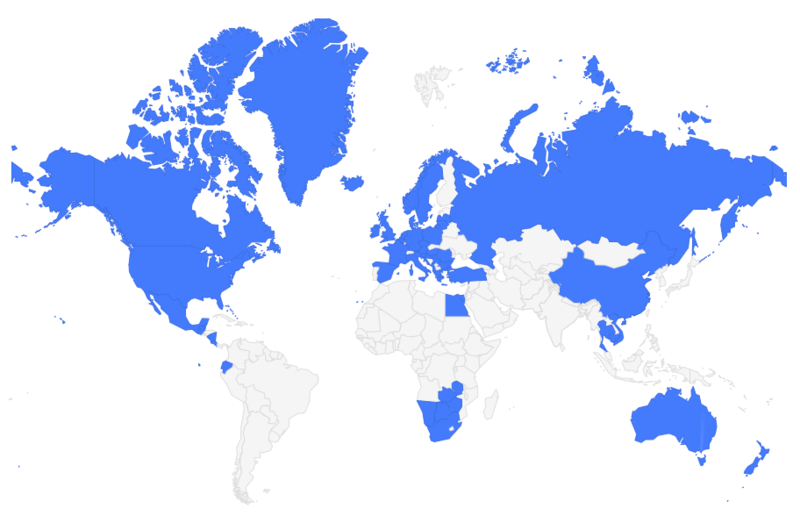 What an interesting safari you had … I love your blog!